I went to see Iain Banks speaking about his new book, Stonemouth, at the UEA Literary Festival a couple of nights ago. 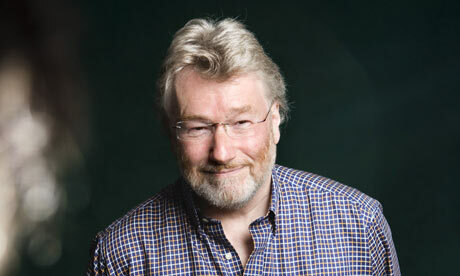 Now, if you have been reading this blog since its inception, you will know that I am an avid Iain Banks fan. I adore him. I have a picture of him as wallpaper on my phone. Seriously (yes, I know I should have grown out of that, but who does?). The thing is, I sat there and listened to him read on Tuesday night, and thought - well, frankly I didn't think anything. The bit he read from the novel was some dialog from a wedding scene. It was mildly amusing. I think he thought it was more amusing than we as listeners did. But it wasn't anything dazzling. And he only read once. Then he talked. And talked. And talked. Most of it was his usual schtick. I'd heard it before because I've been to see him quite a few times. He said a couple of things that I thought, 'Ooo, I want to hear more about your opinion on that, its really interesting,' but I quickly forgot what these pearls of wisdom were because all the schtick got in the way and fuddled my brain. I came out feeling rather disappointed and the only impression I could really summon up was that he needed to accept that the size of jeans he has been wearing since he was twenty are really too small for a man of 58, no matter how slim he is. Your body changes, Iain. I don't want to sit there and look at just how much. Its distracting, mate. In fact, its positively anatomical. Which is a bit sad, considering he is viewed, on the basis of 'The Wasp Factory' and 'The Crow Road', as being one of this nation's greatest novelists. I always thought 'The Crow Road' was one of those novels I would carry with me till I die, reading over and over again. Now I look at it and think, 'meh'. Is it possible to grow out of a novelist? I suppose I grew out of Jean Plaidy and Tom Clancy. I can't believe I have grown out of Banksie. I find myself craving more complex prose. Something more poetic. Less sensationalist. 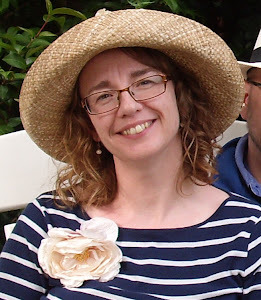 I didn't come out of that session at UEA feeling inspired the way I did after I saw AL Kennedy or Jeanette Winterson, only a couple of months ago. And I want to be inspired now. It isn't Banksie that has changed. He won't change - you can tell that from his trousers. Its me.